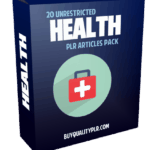 In this PLR Content Pack You’ll get 10 Quality Ear Health PLR Articles and Tweets with Private Label Rights to help you dominate the Ear Health market which is a highly profitable and in-demand niche. 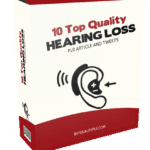 These Ear Health PLR articles are available in Text file format and can be downloaded instantly after purchase. 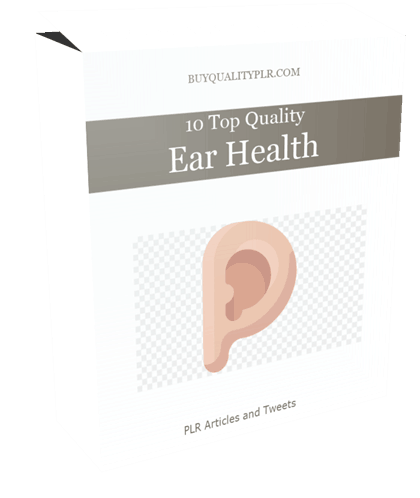 What Can You Do With This Ear Health PLR? 3. Hearing Aids – What Options Are There? 10. What Can Be Done about Ears That Stick Out? Ear infections are common in both children and adults. In childhood, they arise often and usually clear up quickly. 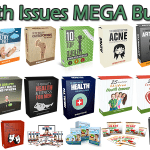 In adults, they may be more severe and could be a sign of an underlying health issue. The inner ear is the deepest part of the ear. 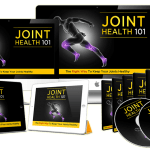 It is important to pay attention to these symptoms because inner ear issues could be a sign of a more serious medical condition, such as meningitis. The middle ear is the area right behind your eardrum. Middle ear infections, known as otitis media, is caused by fluid trapped behind the eardrum. This causes the eardrum to bulge, resulting in pain, a feeling of fullness, and possibly fluid leaking from the ear. The person may also have a fever and experience hearing loss. Ear infections are often caused by bacteria, but there are other ways to get infected. For example, a middle ear infection often stems from a cold or breathing issues which prevent the ears from draining properly. An outer ear infection is often referred to as swimmer’s ear because it starts due to water that remains in your ear after swimming, bathing or showering. The dampness becomes a breeding ground for bacteria. If you then scratch your ear to the point where you damage the lining, the bacteria can flourish.